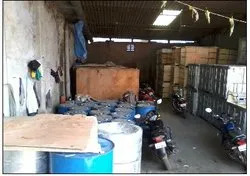 Dycon Chemicals, established is 2008 as Manufacturer and Importer of a wide gamut of Chemical Products. Our product portfolio is inclusive of Petroleum Resin, C9 Hydrocarbon Resin, Styrene Butadiene Styrene, Chlorinated Polyethylene, SEBS Polymers, Hot Melt Adhesives, C5 Aliphatic Hydrocarbon Resin and much more. Under the technical & managerial guidance of our founder, Mr. Nishit Mehta(Chemical Engineer), we have been able to attain a strong position in the market. His technical knowledge, extensive industry experience, competent leadership, and in-depth market knowledge have helped us in attaining a wide client-base for ourselves. Our unwavering focus on quality has enabled us to win immense recognition in the industry. Post procurement, our products are stored at our spacious and temperature controlled storage facility from where the products are packed and delivered safely. We are a distinguished trader of a wide array of Resins, Wax, Glass Beads, Pu Adhesives and Rosin Ester, which is offered by us at market leading rates. Our renowned vendors make use of fine quality ingredients to process our entire product range. Furthermore, the products are developed in compliance with the globally accepted parameters of quality. Post-procurement, we stringently test our entire range of products so as to ensure its purity, precise composition and effectiveness. Clients can avail our Glass Beads in various cuts and colors. The perfect quality of our range of Resins, Wax, Glass Beads, Pu Adhesives and Rosin Ester has won us a tremendous client-base. Our pure and accurately mixed products find application in various industries and commercial areas owing to their diverse features. 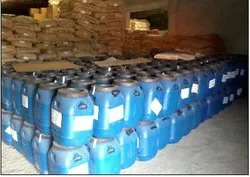 These characteristics include excellent solubility, precise composition, purity and low molecular weight. Our firm is privileged with a team of talented and enthusiastic professionals, which is instrumental in controlling all our business activities in an organized manner. Due to the hard work and sincerity of these professionals, we are capable of catering to the varied demands of our customers within the prescribed time frame. These experts utilize their rich industry experience to select the most appropriate vendors for our firm. Furthermore, in order to keep pace with the latest technology and advancements, we regularly conduct training sections and workshops for our employees. Leveraging on factors like unwavering focus on quality and client-centric policies, we have established a consolidated position as an illustrious trader of an immaculate range of Resins, Wax, Glass Beads, Pu Adhesives and Rosin Ester. It is because of our proficient management, smooth business operations and ethical business practices that we have been able to march ahead with our industry competitors.